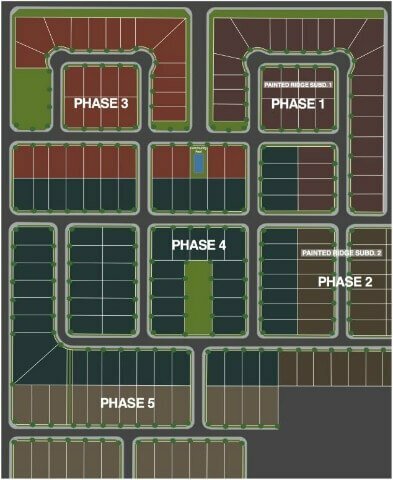 The Painted Ridge subdivision is a new home community located in Southeast Boise, ID. Enjoy the exceptional views this neighborhood has to offer or step outside for a hike along the Oregon Trail, enjoy the solitude of the Boise River or spend an afternoon at Lucky Peak. Painted Ridge Boise is minutes away from it all. Painted Ridge and Sunny Ridge are two sister communities nearly adjacent to each other developed by the same developer. They are ideally located right by Micron and just minutes from downtown Boise. Homeowners enjoy being surrounded by the natural desert landscape with unobstructed views. Learn more about Painted Ridge real estate below. A comparable nearby community offering new homes in Boise is Bonneville Pointe. Or browse all new Boise subdivisions. From I-84, South on Technology Way from Gowen Road. The subdivision is on the right after one mile - Boise, ID 83716.